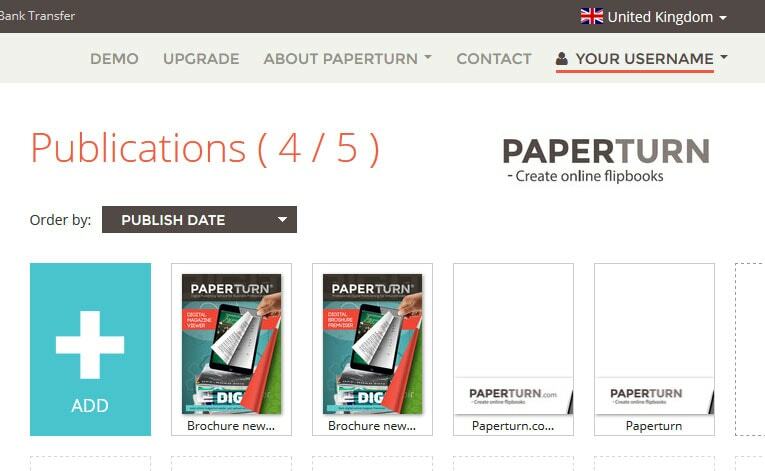 Welcome to Paperturn's flipbook guide! Here, you'll find tutorials on everything you need to know to create, edit and share your beautiful flipbooks. This can be found at the top of the page. Here you can manage your account details and the general settings for your PDF flipbooks. As illustrated by the example below, you will be able to see your uploaded publications displayed within the numbered slots. New flipbooks can be uploaded onto your slots at any time; for example, if you have bought 5 slots, you can have 5 flipbooks active at once. 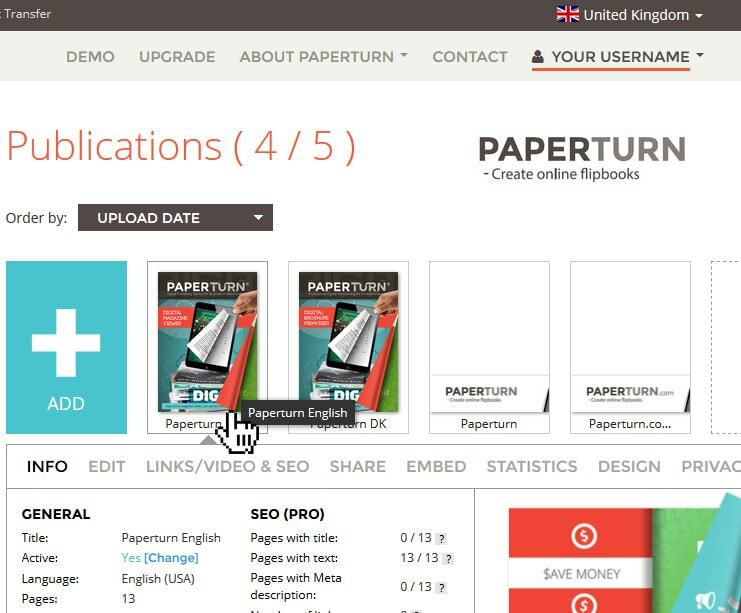 However, if you choose to overwrite a flipbook, Paperturn will give you the option to keep all of your previously uploaded links and videos. Click on one of your slots containing a PDF flipbook to see its "Settings".